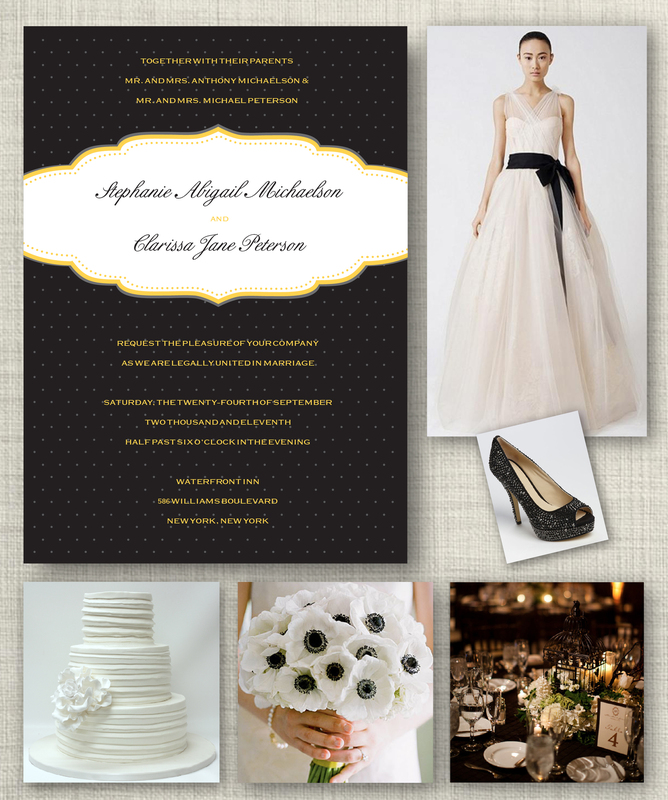 I love the idea of an Elegant Black and White Wedding. Or black and white with a subtle accent color thrown in. You could wear some sparkly shoes under your wedding dress for a great little surprise. Black and white is perfect for anytime of the year but feels especially appropriate during the winter months. There are tons of resources for ideas, I did a google search for black and white weddings and it came back with 408 million pages! That’s a lot to look at. I suggest starting off at places like the Knot or even Pinterest. And if you are looking for something unique and handmade try Etsy.com, I love the brooch bouquets you can find on Etsy, so clever. Good luck planning your special day!